As any NYC resident will tell you, this city ain’t cheap, so these Airbnbs will be a huge help. Sure, our hotels rank among the best in the world, but they’re not always the most affordable for travelers. 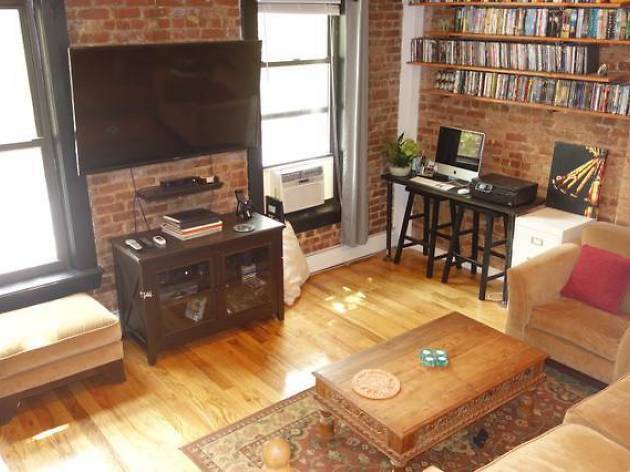 And besides, aren’t you curious how real NYC apartments compare to the ones you see on TV? (Spoiler alert: they’re much, much smaller.) Whether you’re a veteran traveler or a Gotham newbie, staying in an Airbnb rental is one of the best ways to immerse yourself in the city’s culture. Grab a studio near the best new restaurants in the city or crash at a bachelor pad near the best New York attractions. 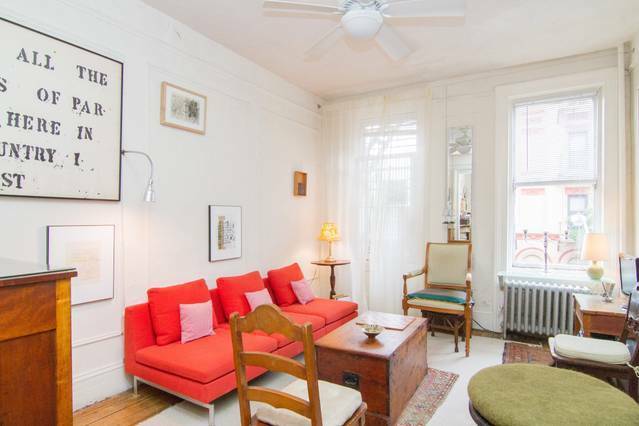 From Long Island City to Williamsburg, here's where to find the best Airbnbs in New York City. It’s like staying in the presidential suite of a hotel but for half the price. 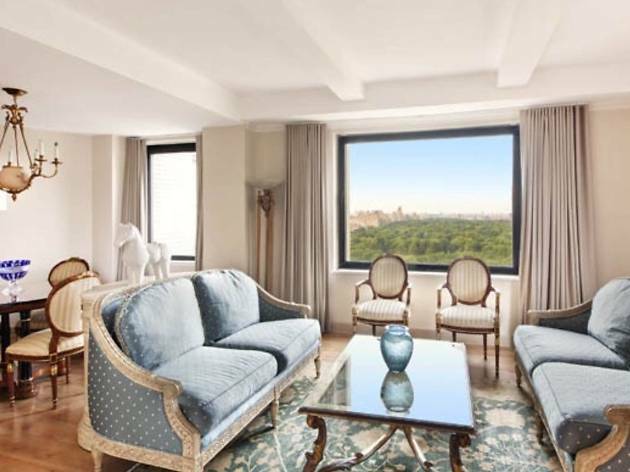 Boasting panoramic views of Central Park, this suite sleeps five people and comes with all your hotel amenities, including an on-site gym and spa, housekeeping services, and concierge. 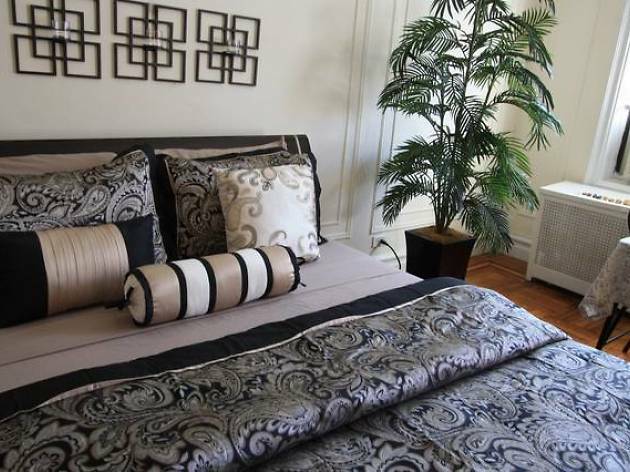 The best part: it’s steps away from a multitude of museums, restaurants, and the finest attractions in Manhattan. 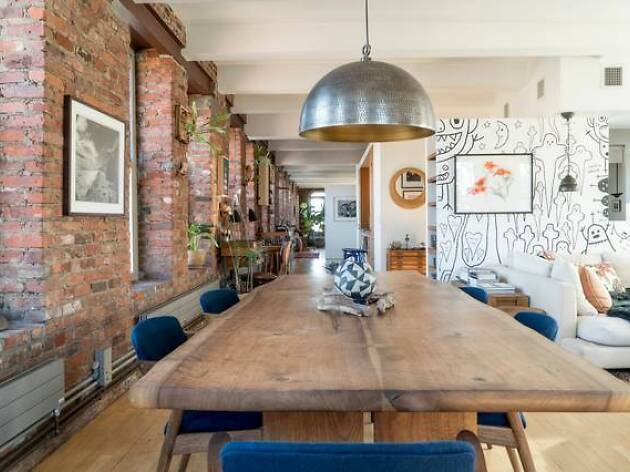 Set just one block from the East River and spread out over the entire top floor of a restored 1894 building, this ace North Williamsburg retreat offers a slice of country living in the hustle and bustle of the city. Exposed brick and beams, hardwood flooring and the open fireplace add to the charm of this characterful spot. 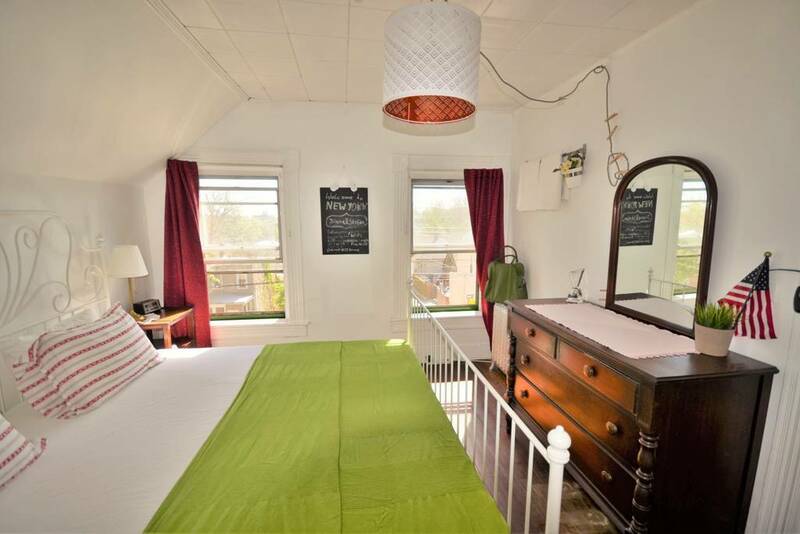 There's a fully functioning pre-war cooking stove, queen-sized bed in the master (which has views out ot the river) and a skylight in the bathroom. Host Maria and her husband also live in the building, so are easily reachable, but the apartment has its own entrance for ultimate privacy. If you get excited about highly Instagrammable palm-print sheets and old-school rattan furniture, this artist-owned loft—built not long ago in March 2017—is the private tropical getaway you need. Sitting in the heart of Bushwick, Brooklyn, the room features exposed brick walls, a sliding door for privacy, and a full-size memory foam mattress. Hosts Marcella and Antonio are on-site to assist with all your travel needs, and breakfast is included. Four stories, six bedrooms, three baths. That’s a whole lot of relaxation space—a rare commodity in this town—for families and larger groups visiting NYC. 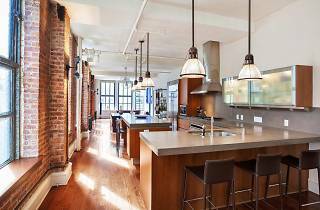 Situated in Manhattan’s zig-zagging West Village, this home is within walking distance of the city’s most critically acclaimed eateries and bars, as well as historic landmarks (there are 4,300 in the neighborhood alone). Stay in a four-star hotel for half the price. Ideal for a business traveler, this suite is well-decorated and, unlike the rest of the city, pretty quiet due to its location on a high floor. You’ll also get the amenities you’re used to in such a hotel, including a friendly front desk staff, a helpful housekeeping crew and a minibar when you need to unwind. Staten Island may oft get the short end of the stick with visitors, but the fifth and forgotten borough is notable as a stronghold of the “real New York” and home of pristine beaches that are less crowded than those in Brooklyn. 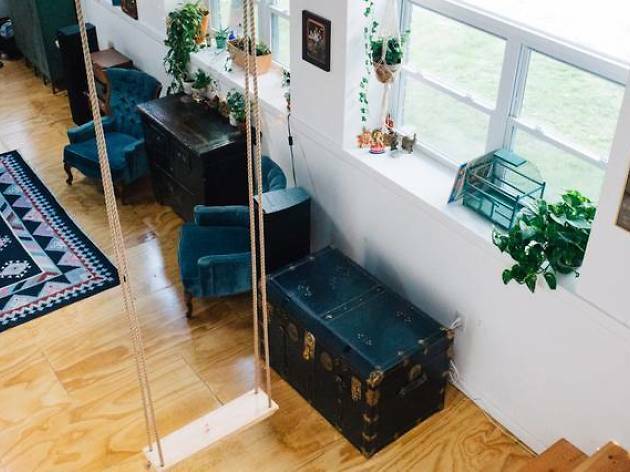 Not ideal for first-time visitors, this lovely, vintage-style home does cater to folks looking for a suburban environment that is a reasonable distance—roughly an hour—from downtown Manhattan. The rooms take up the upper floor of the house, which also includes a kitchenette and bathroom for guest use. Dubbed by the owner as the “Liberty Lounge,” this Bronx-set apartment is housed within a historic prewar building. At just $58 a night, it’s a spacious and sensible option for couples or a solo traveler who don’t mind the commute into Manhattan. Fitted with a Tempur-Pedic bed, large-screen TV and fully stocked fridge, the apartment offers comfort and a come-as-you-please environment for visitors. Manhattan’s East Village is known for being an artists’ neighborhood, so what better place to stay than in the home of an artist? Fitted with a mix of designer furniture and family antiques, the (characteristically small) railroad apartment comes with a sunny kitchen and private bedroom. Built in the 19th century mostly for immigrants, tenement homes like these are light on space but offer authenticity and a close proximity to some of the city’s key attractions and dining establishments. 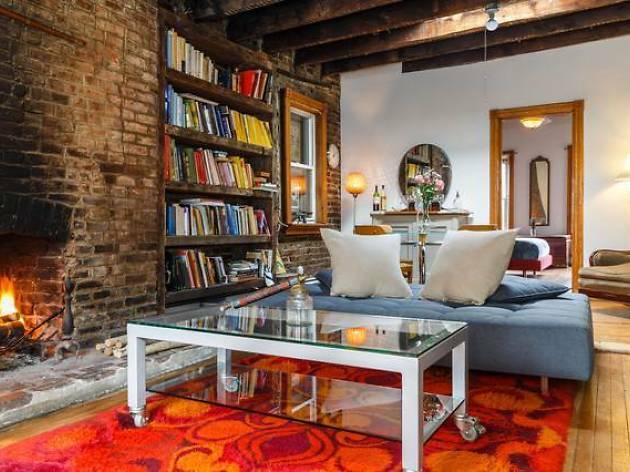 Exposed beams and brick are on the wishlist of many a first-time New Yorker and visitors as well. 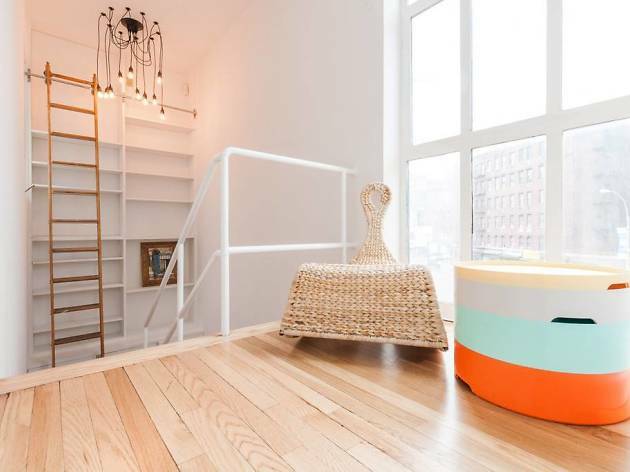 You’ll get both here in this loft which straddles the border of Soho and Little Italy. Guests have access to the entire apartment, which includes a roomy living area, a kitchen with an eight-seat dining table and a bedroom with a king-size bed. 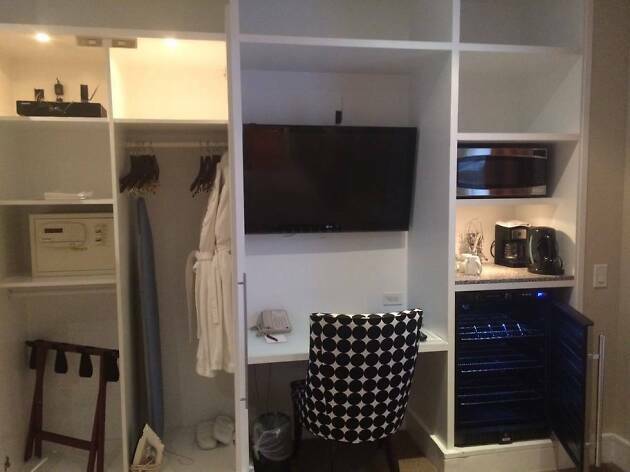 If you’re willing to spend, this one-bedroom unit will run you $2,000 a night. 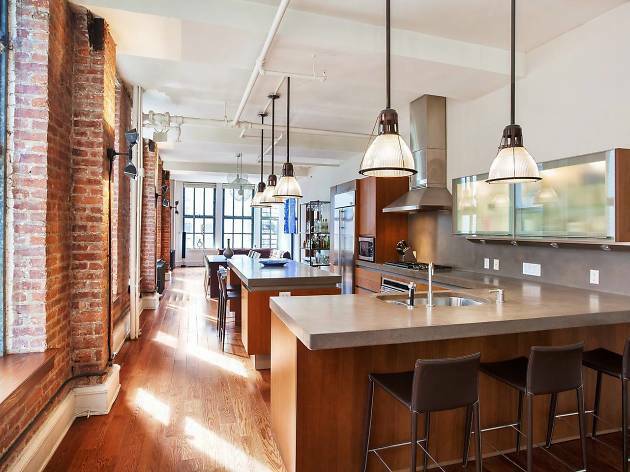 But the truly unique loft, which has exposed brick walls and a whopping 30 windows, is an incredible (and large) space with 360-degree views of multiple landmarks including the Empire State Building, Brooklyn Bridge and East River. A common roof deck is the cherry on top. 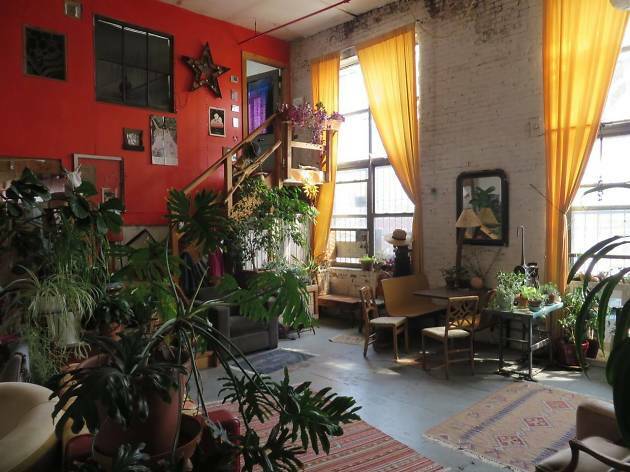 This artists’ pad in the Bronx is stylish and spacious without breaking the bank. 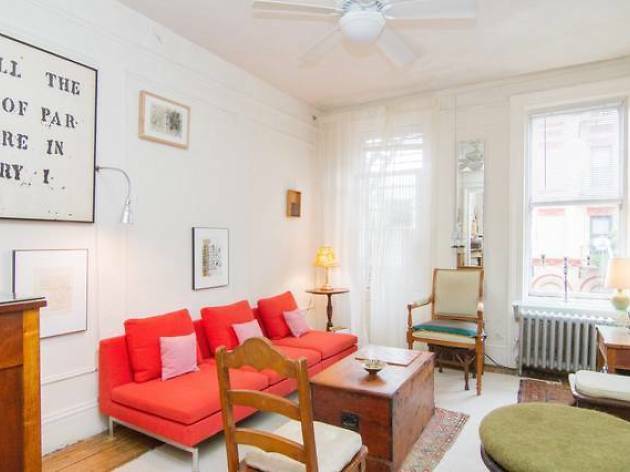 The set-up is ideal for a solo traveler as it’s just one room in the house, and the location offers a quick trip to the city via subway (you can get to Grand Central in three stops). Bonus: The host, a native New Yorker, has plenty of suggestions. 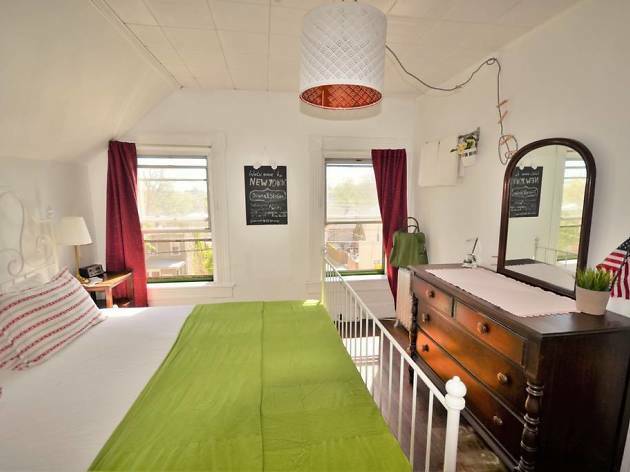 Looking for more places to stay in Brooklyn?